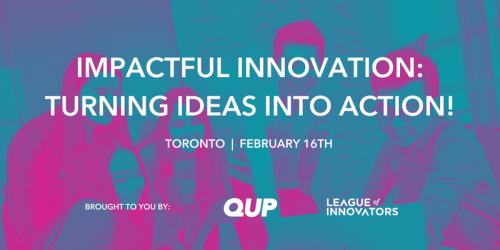 All Events › Impactful Innovation:Turning Ideas Into Action! Do you have an idea for something big? Are you ready to make a meaningful impact on the world but don’t know where to start? Ideas are great, and you have a bunch — but what’s next? How do you take an idea and turn it into something real? 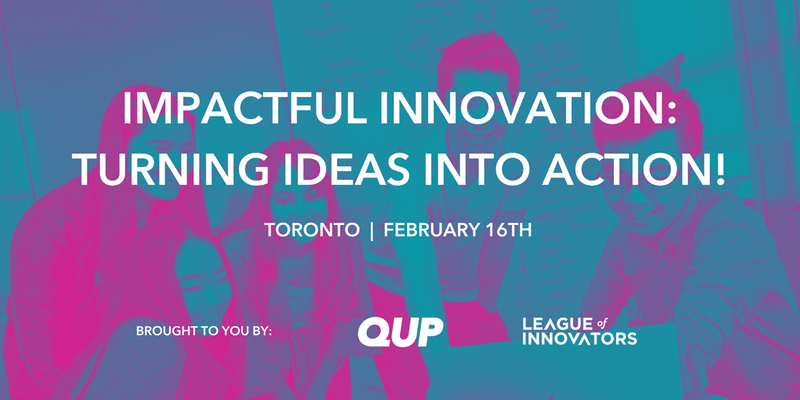 League of Innovators and QUP are excited to present a day focused on Impactful Innovation: Turning ideas into action! Whether you want to test out a few ideas or figure out what you’re passionate about, join us and collaborate with your fellow peers, work with awesome mentors in design, pitch and product to get you going. Over the course of the day we’ll guide you through a series of interactive workshops that’ll help you identify your passions, interests and skills sets. You’ll be working in small groups to identify social problems and propose impactful solutions that create real-world change. While doing so, you’ll deepen your understanding of yourself, develop capacities for sustaining impact, and become part of a learning community committed to personal growth through, action, and reflection. Your team will get to work with industry-leading mentors and hear from experts who are leading the way in social impact and entrepreneurship. Mentors will provide you with feedback on your idea to prepare you for the 90-second pitches at the end of the day. Up for grabs are $10,000 worth of in-kind prizes for the top 3 winning teams. By the end of the program, you’ll have the foundational knowledge and leadership capacities you need to become an impact advocate and entrepreneur.